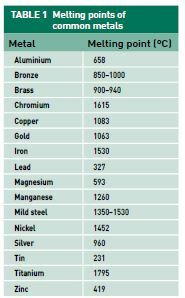 Home > Blog > Tech Tips > What makes metals different? Metals and alloys have various mechanical, thermal and electrical properties that set them apart from each other and make them more suited to a particular task. 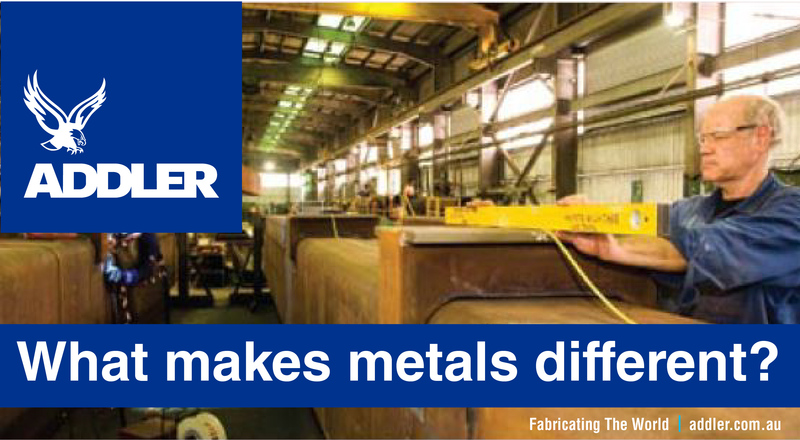 The following properties will need to be considered when welding or selecting a metal for a particular task. 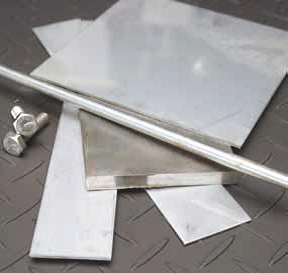 Hardness is a desirable property in metals that need to withstand abrasion or wear. Metal can be hardened by heat-treating, which is a process involving the application of heat and then fast cooling. Often metals can be treated to make the surface harder than the centre by case hardening or hard-facing. The advantage of these hardening processes are that a metal part can be formed while the metal is still workable and then hardened later. 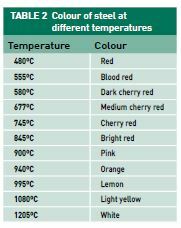 Steels containing more than 0.3 per cent of carbon can be hardened by heating to red hot and then quenching in water to cool quickly. This alters the crystalline structure and the hard steel formed is often brittle. Some metals such as stainless steel have a work hardening property, where they become harder the more they are bent, hammered or rolled. Brittle metals are often hard but while they may cope with abrasion, they are also prone to cracking and shattering during use. It is difficult to bend or shape brittle metals without cracking them and they cope poorly with shock loads. 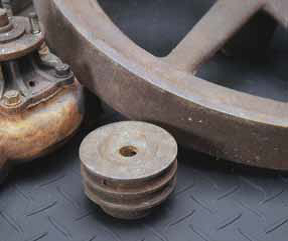 Cast iron is a common brittle metal which is strong under compressive loads but weak in tension. Tough metals will resist all forms of tearing and shearing without breaking. Metals which are ideal for hard-wearing applications have a tough centre with a hard exterior. when worked. Sheet metal is usually very malleable and can be pressed into intricate shapes, such as car panels. Malleable metals such as copper are often used for decorative forms due to the ease with which they can be worked. Ferrous metals such as steel can be made more malleable by a process called annealing, where the metal is heated to red hot and then allowed to cool slowly in air or lime powder. Non-ferrous metals are annealed by being heated in a similar way but are cooled quickly by quenching in water. Ductility is a similar property to malleability and allows metals to be drawn out into shapes without breaking. It is an essential property for metal used in wire. To make wire, the metal is drawn through a series of decreasing sized dies to reduce diameter but increase length. Tensile or elastic metals will return to their previous shape after being bent or distorted in some way. Spring steels are a good example of tensile metal. But there is a limit to how far these metals can be bent before they will not return to their previous state which is called the elastic limit. If a metal is stretched beyond this limit it is said to be strained. Strain is the permanent deformation, or elongation, of a material and is expressed as a percentage of the material’s original size. Conductivity is a measure of a metal’s heat- or electrical-carrying ability. Highly conductive metals such as aluminium can transfer heat quickly throughout their mass or pass an electrical current with little resistance. When welding, heat conductivity directly affects the amount of heat required to melt the metal. Density is the weight of a piece of metal per unit of its volume. Dense metal will weigh more than a less dense metal of a similar size. Density is measured in kilograms per cubic metre (kg/m³). Gold and lead are very dense metals at 19,300kg/m³ and 11,370kg/m³ respectively. The density of steel is 7850kg/m³. Rust is a type of corrosion which affects metals containing iron, such as mild steel. It is a red crust made up of the compound Iron-Oxide (FE2O3), that forms on the surface of iron when exposed to air and moisture. joined using most welding methods. Tech Tips ADDLER, Metalworking. permalink.